Can I follow God and remain peaceful when I don’t know what’s next? We are called to serve God regardless of our comfort level. Walking with God is an adventure, and all adventures involve some kind of risk taking. The bible says that faith without works is dead, because faith looks like something. God can use many powerful leaders of the church to confirm His calling over your life a million times- but if you do not respond with action, you will find that you have remained within the boundaries of your comfort zone. We all have comfort zones, they are our safe place. A comfort zone is where your behavior (and activity) fit a pattern of routine that minimizes stress and risk. For example, you never speak to people unless they speak to you first- you do this because you want to avoid rejection: you say yes to dancing, because it comes natural to you, but say no to swimming because you are afraid: you choose to walk away from any relationship instead of embracing the experience because you fear heartbreak. 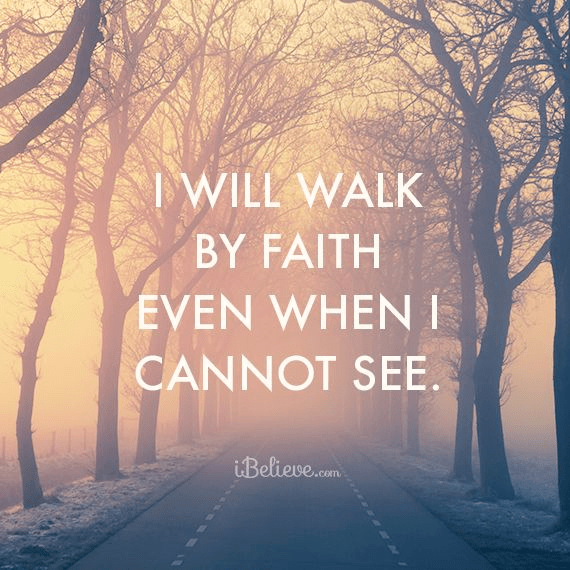 Placing our faith in Christ for salvation and daily living, requires a step of faith… many steps of faith actually, and usually requiring that we step out of our comfort zones. The very act of becoming a Christian is unfamiliar to our human (logical and sensual) nature. Our natural inclination is to depend on ourselves to be saved, and to make things happen. But God does not work this way. To live out our calling, we truly have no choice than to realize that at some point we must take risks (or if it makes you feel better, take a chance). If we do not take a leap of faith, we will remain stagnant: stuck. Our comfort zone is made up of the people, places, things, and habits that we know as familiar and safe. We should be willing to place ourselves in new situations, even uncomfortable ones, for the sake of living a worthy life: is your life worth it? In order to fulfil God’s work, we must challenge our normal and create a new normal, otherwise we will live boring lives. Abraham, Joseph, Moses, Esther, Ruth, Paul, and so many others took a risk to we’ve the God of the universe. They made the choice by faith, they must have had thoughts which opposed their logic but guess what- they lived a worthy life. We cannot stop living life because we are afraid of what will happen. We cannot stop going after Gods call because we feel uncomfortable. Sometimes we will not know what to expect or how to handle it, and other times it will not even be fun or satisfying. But if we are to live by faith, may we say yes to risk taking by faith. If God is for us…. who or what can stand against us? Lord Jesus, you are the one who knows all things and sees all things. Show us Lord if there is an area of our lives where we are stuck, whether in our personal or spiritual lives. We do not want to continue just living in routine or in monotony, but we do not either want to live thrill seeking and reckless lives: teach us your ways Lord. May you feed us with boldness, authority and courage as we go through life. If we have the power to change certain aspects of ourselves our relationships our finances or our spiritual calling, may we be awakened in the Spirit to use this power. In Jesus name, Amen.